Volkswagen Tiguan Allspace Boot Space, Size, Seats | What Car? There’s plenty of room up front for even the tallest of drivers. There’s loads of adjustment in the seat and steering wheel, and you’ll find plenty of room for all of your odds and ends. The front door bins will each hold a pretty big bottle of drink, there’s a centre armrest with storage and a cooled glovebox should stop chocolate treats from melting. All models get handy drawers under the driver and front passenger seats – perfect for hiding valuables if you need to leave them in the car. Add in a few cubbyholes and you have a very versatile interior. If you try to squeeze three adults into the second row, the middle person is likely to feel a bit pinched, but leg room will only be an issue for the tallest of individuals. If you’re only carrying a couple of passengers behind you, there’s a central armrest with a pair of cupholders to help comfort further. And if you really want to push the boat out, heated rear seats are available, while they also get three-zone climate control to allow those in the back to choose their ideal temperature independently from those in the front. Isofix child seat fittings are standard for the outer second-row seats, should you plan on carrying small children. Kids may also appreciate the folding tables that are standard on the front seatbacks. These have a groove to hold tablets up, as well as a cupholder. Where this model differs from the standard Tiguan is the inclusion of a third row to offer seven seats in total. However, the two extra seats are only suitable for small children or adults who are prepared to be very uncomfortable on short journeys. 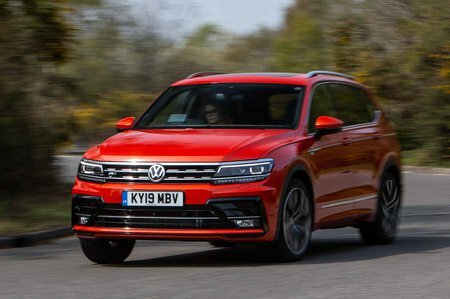 The Tiguan Allspace, then, should be approached more as a five-seat SUV with two additional seats for occasional use, rather than a proper seven-seater. Volkswagen has clearly worked hard to make sure the Tiguan Allspace scores well for flexibility. As standard, the front seats feature manual height and lumbar adjustment. There is also the option of more adjustable ‘ergoComfort’ front seats – these are standard on SEL models. 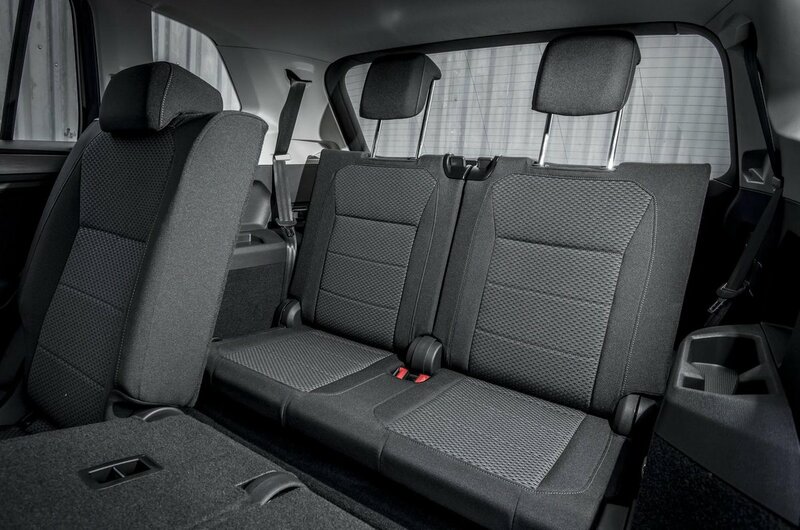 All versions come with 40/20/40 split-folding, sliding and reclining rear seats. The front passenger seat folds down, too, further improving the Tiguan Allspace's load-carrying capability. 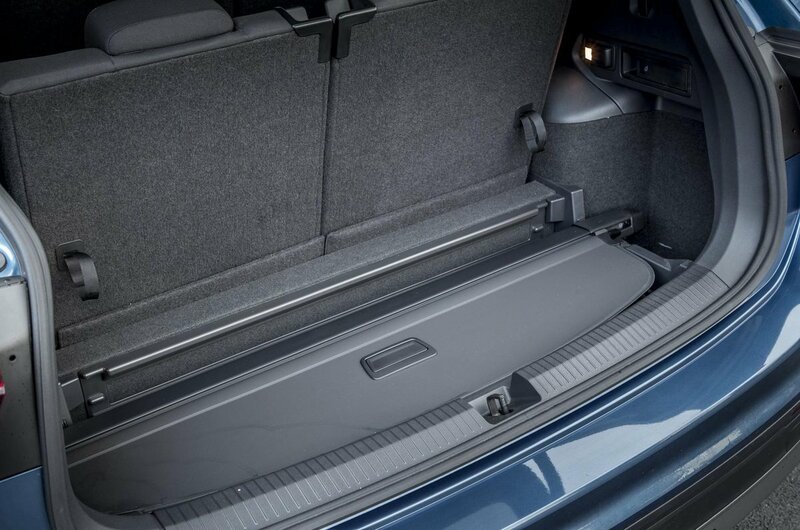 All of the rear seats fold down almost flat, making carrying longer items easier. The two rearmost seats, meanwhile, are easily accessed once you slide the middle row forward and they can be dropped into the boot floor to increase space. The Tiguan Allspace’s boot is usefully bigger than the standard five-seat model’s when the rearmost seats are stowed away. The five-seat version has a big boot against rivals such as the BMW X1 and Nissan Qashqai. However, the seven-seat Tiguan Allspace faces competition from bigger cars such as the Kodiaq and Peugeot 5008. Against those, the Tiguan Allspace’s boot size trails by some way. Helpfully, though, it does get a large tailgate and wide opening to make loading easy. The boot has straight sides and comes with net partitions and a height-adjustable floor. There are plenty more convenient features on the options list; this really is a very practical car. It’s not perfect, though; there’s a slope in the opening of the boot floor to cover the parcel shelf and to bring the floor into line with the folded third row. Slide the middle-row seats as far back as they go and boot space shrinks accordingly, as does leg room for passengers in the back row. Push them forward (it’s an easy operation) and you increase the available space substantially. This will make life a bit uncomfortable for occupants in that row, but those in the rearmost row will be grateful for the extra leg room.